Create a free account. No credit card required. With more than 60% of customers not returning after their first visit, growing your business can be a challenge. CityGro keeps you in frequent communication with your contacts to ensure they come back more often. All without holding up the line! ALL YOUR RETENTION TOOLS ON ONE SINGLE PLATFORM. With an average database of 2500+ customers per location in the first 12 months, we’ll put our customer collection tools up against any tools on the market. Customer communication is the most impactful part of your retention strategy and can bring your customers back up to 2-3x more. 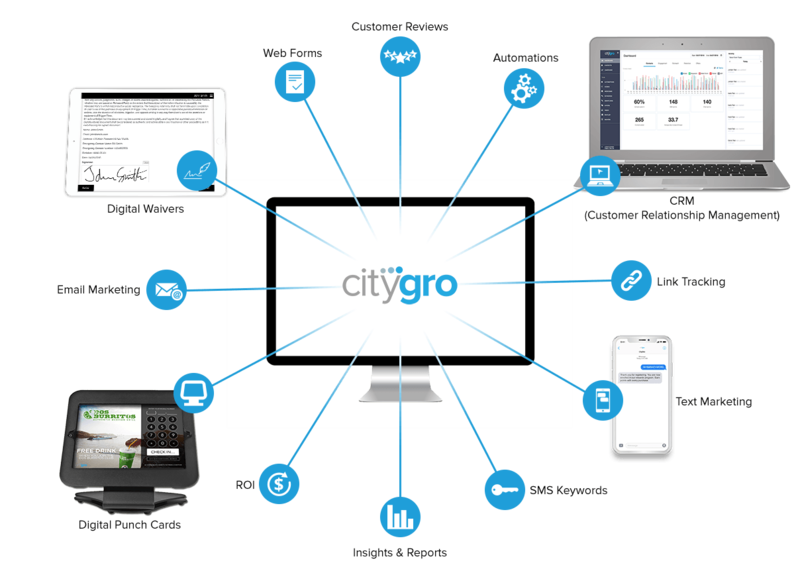 CityGro allows you to give the right incentive, to the right person, at the right time. Our automated campaigns ensure that your customers won’t forget about you! We’re so confident that you’ll love our system that we’ll let you try the entire platform free for 30 days. No contract, no credit card, give us a shot!